One of my favorite projects that was hanging in the show was the collaborative quilt between Cena and I. I loved seeing people’s reaction to the quilt. 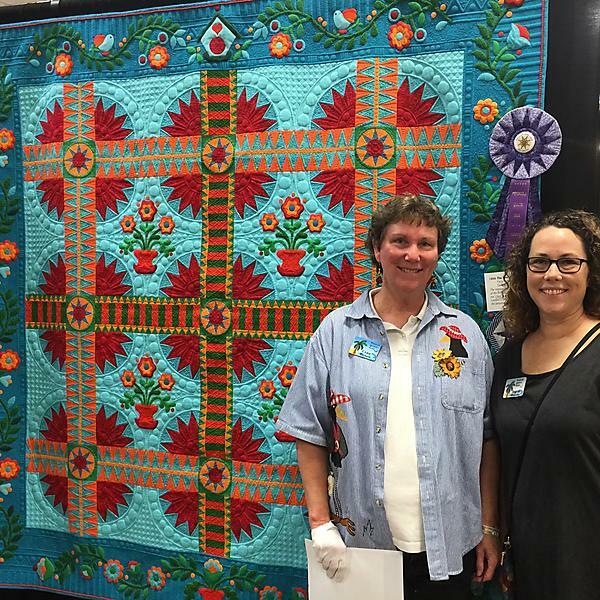 We won a first for our category and Best Quilting. 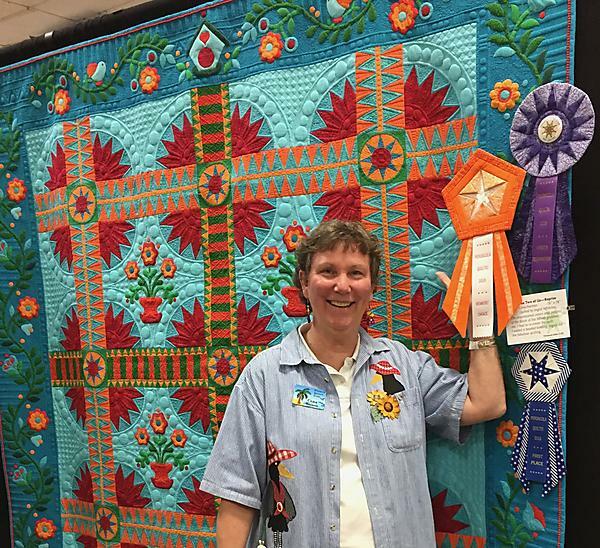 We found out the afternoon of the last day that our quilt had won Viewers choice. 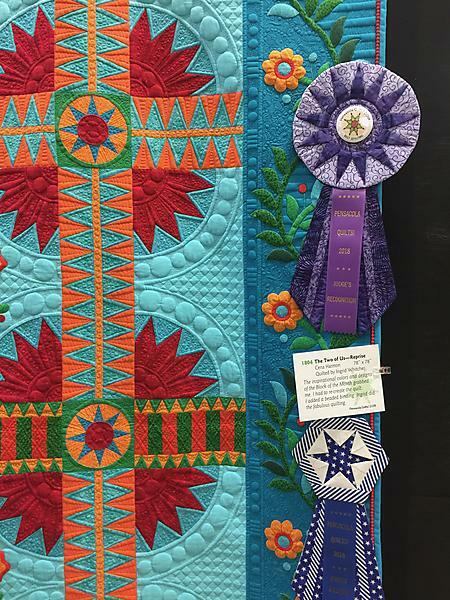 This is the one ribbon that I was really hoping we would win (my first). It is so much fun to have such a great partnership with Cena.